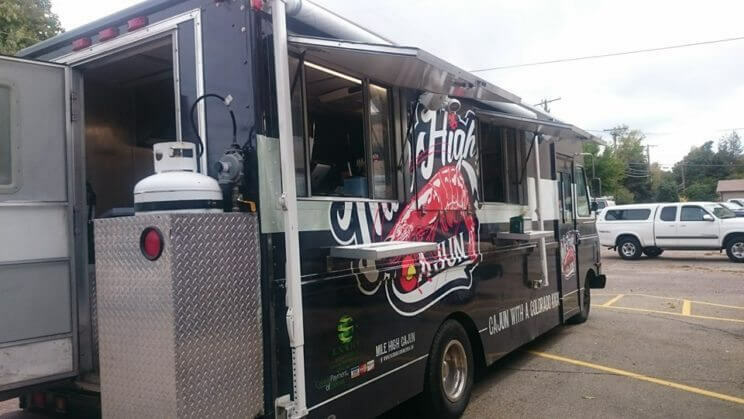 If you have yet to experience a meal provided by a food truck, then now is the time to do so, while ‘Food Truck Season’ is still taking place and the weather is warm! 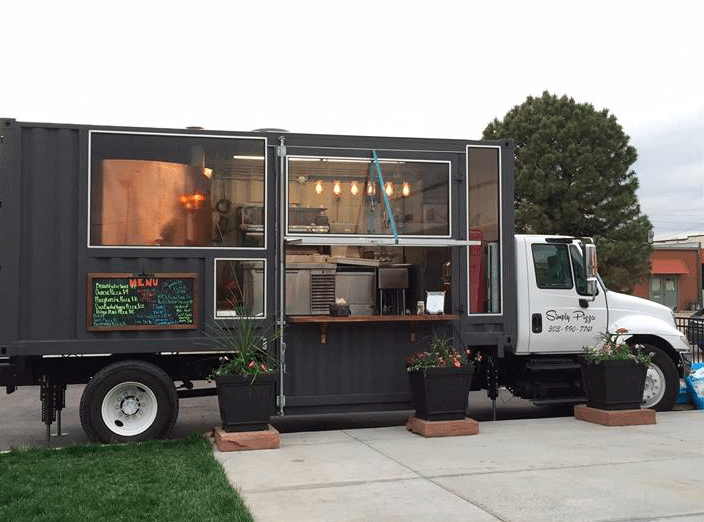 Listed are 12 of the best Denver food trucks to follow in and around Denver, so you can enjoy food that is fast, without it being considered as ‘fast food’. 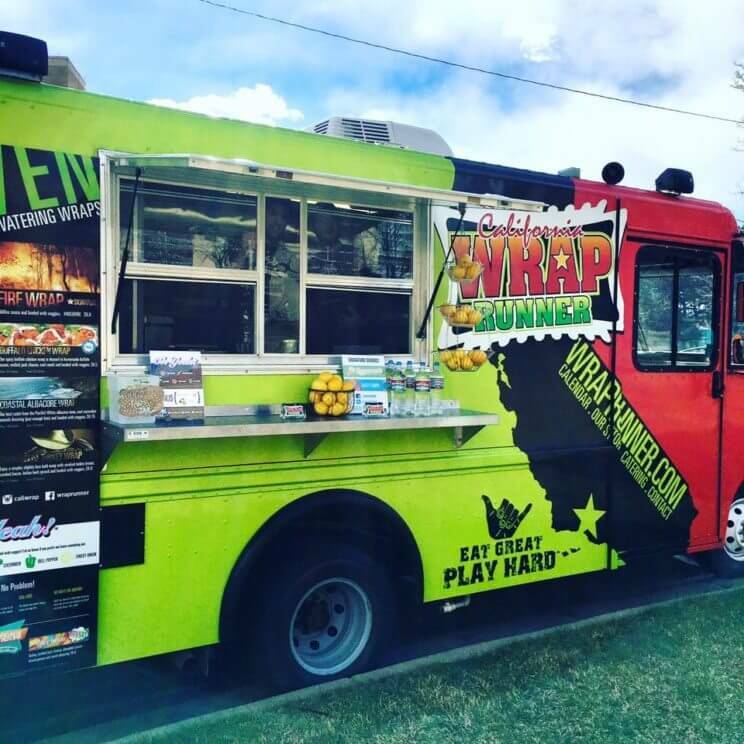 California Wrap Runner is a gourmet food truck born on the beaches of Santa Barbara and brings the flavors of Southern California to the Mile High city. California Wrap Runner serves salad wraps stuffed with the freshest salads, meats and sauces. The menu features wraps such as The Greek Wrap, made with Gyro meat, feta cheese, Tzatziki sauce and veggies; California Wildfire Wrap, their signature wrap, made with smoked turkey breast, smoked bacon, spicy wildfire sauce and veggies; Valley Veggie Wrap, made with roasted red pepper hummus, house vinaigrette sauce and veggies and more. Follow the California Wrap Runner on Facebook and Twitter to find out where they will be making their next stop. 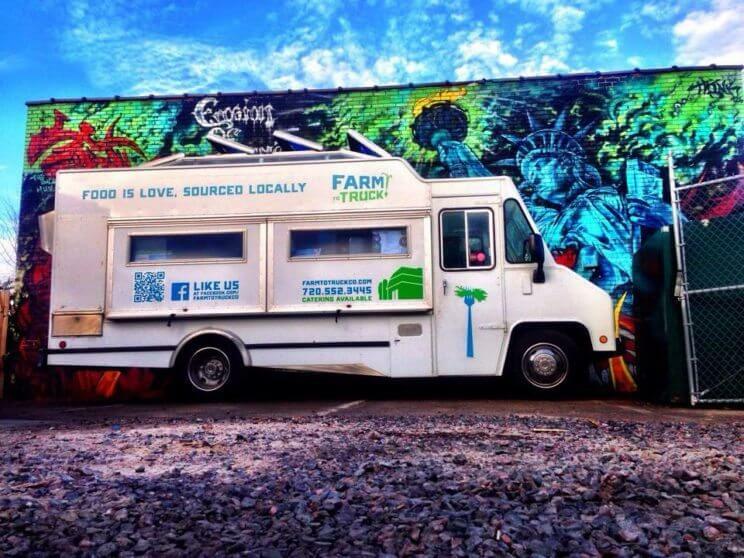 Farm to Truck serves locally sourced comfort and street food from around the world. Farm to Truck’s menu includes items such as lamb and hempseed burgers, pulled pork sandwiches, Denver BLT, breakfast sandwiches, chicken tenders, hand-cut fries and local sodas. Farm to Truck’s entrée prices range from $8–$11 and their food is fresh, sustainable, and locally produced. Follow Farm to Truck on Facebook and Twitter to find out where they will be making their next stop. Fire Truck Crêpes serves freshly made sweet and savory Crêpes. Their menu includes sweet crêpes such as Lemon & Sugar, Cinnamon & Sugar, S’mores, Nutella & Fruit, and more. Their savory crêpes include items such as 4 Cheese, made with melted smoked gouda, parmesan, mozzarella, and cheddar cheese; Bacon Spinach & Mushroom, Steak & Cheese, and more. 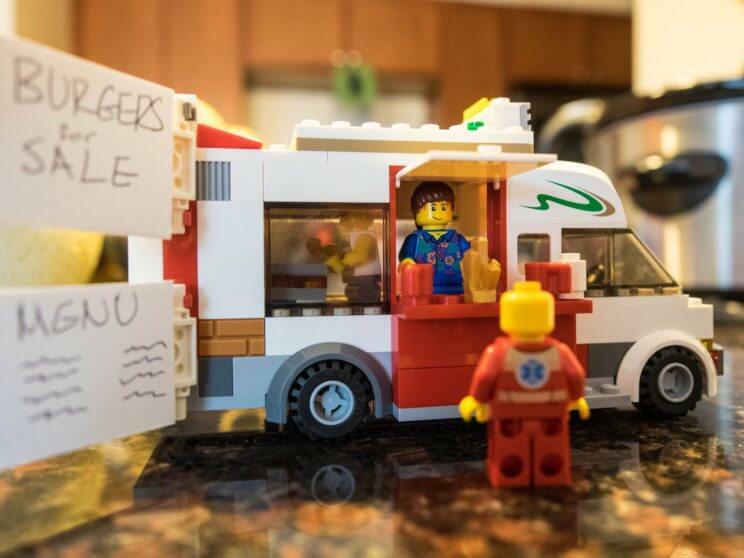 Their food truck is an extremely unique design – it resembles a fire truck! 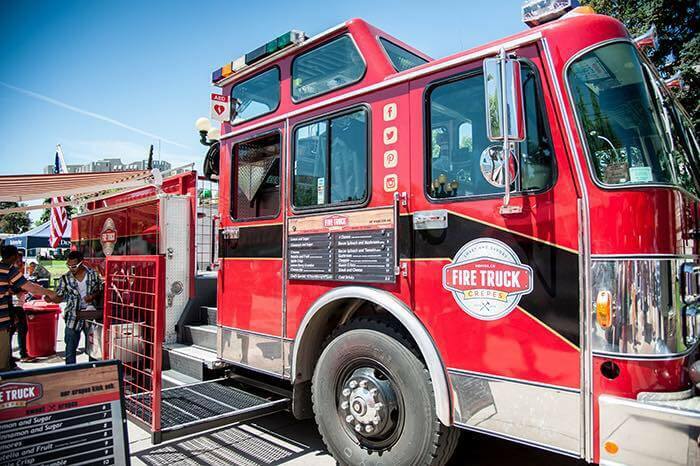 Follow Fire Truck Crêpes on Facebook and Twitter to find out where they will be making their next stop. Hey PB&J serves gourmet grilled peanut butter and jelly sandwiches that are either sweet, savory or spicy. Hey PB&J mills their own nuts butters, such as peanut, almond, pecan and cashew, and makes many of their jams and preserves. The menu features sweet sandwiches such as Blueberry Pie, Nutella-Banana, and Cookies & Cream, and savory and/or spicy sandwiches such as Thai, made with spicy peanut butter, orange marmalade, coconut, crushed peanuts and fresh basil; King, made with peanut butter, sliced bananas, clover honey, and applewood smoked bacon, and many more. 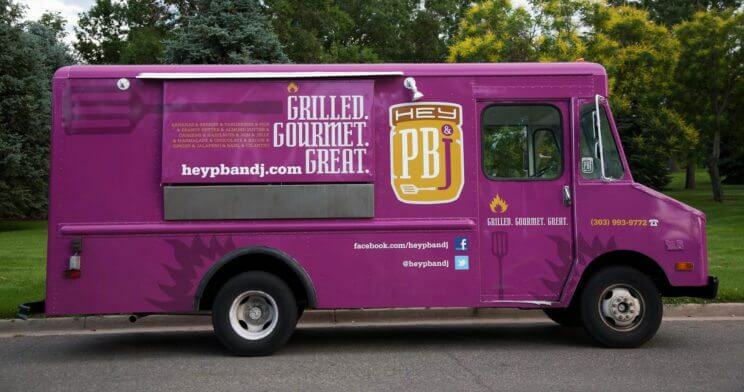 Follow Hey PB&J on Facebook and Twitter to find out where they will be making their next stop. High Point Creamery serves handcrafted unique and traditionally flavored ice cream. High Point Creamery also has a brick and mortar location in the Hilltop neighborhood in Denver (as well as an upcoming second location in Central Market). 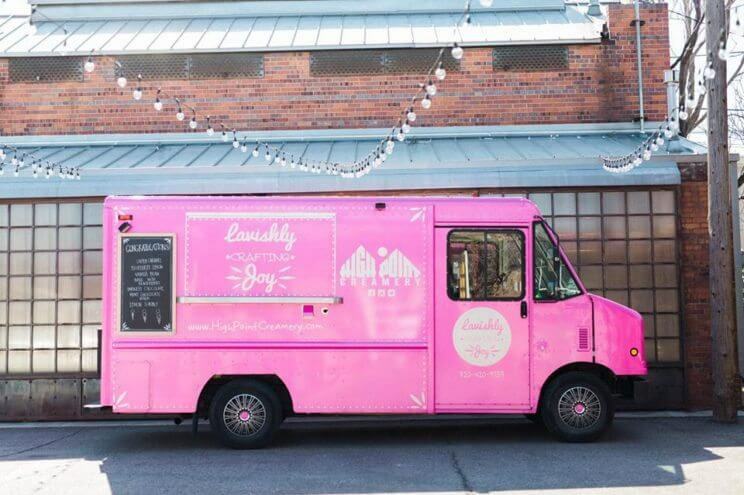 High Point Creamery’s mobile food truck is referred to as #BigPinky, and you can find a selection of their brick and mortar location’s menu on the road too. Flavors such as Salty Dog Chocolate, Brown Butter Pecan, Brown Sugar Cinnamon, Chocolate Coconut, Salted Caramel, and S’mores are not to be missed. Traditional flavors include Cookies and Cream, Milk Chocolate, Vanilla Bean and more. Follow High Point Creamery’s Big Pinky on Facebook and Twitter to find out where it will be making its next stop. Mile High Cajun serves New Orleans inspired cuisine while using local Colorado ingredients. Mile High Cajun serves menu items such as Po’Boys, a traditional Louisiana sandwich with meat options such as pork belly, chicken, beef short rib, or shrimp; Chipotle grit bowls; tacos; and signature New-Orleans side dishes such as jambalaya, Cajun fries, roasted corn Hush Puppies, grits and more. Follow Mile High Cajun by visiting their Calendar Page to find out where they will be making their next stop. Rolling Smoke BBQ serves authentic BBQ food with an emphasis on Southern style home cooking. Rolling Smoke BBQ smokes meats such as ribs, brisket, and pulled pork and offers Southern comfort foods such as mac n’ cheese and baked beans. All of their items are made from scratch daily and slow-cooked prior to serving. Psst… Rolling Smoke BBQ’s food truck is such a success, that it will soon open its first brick and mortar location in the upcoming Stanley Marketplace! 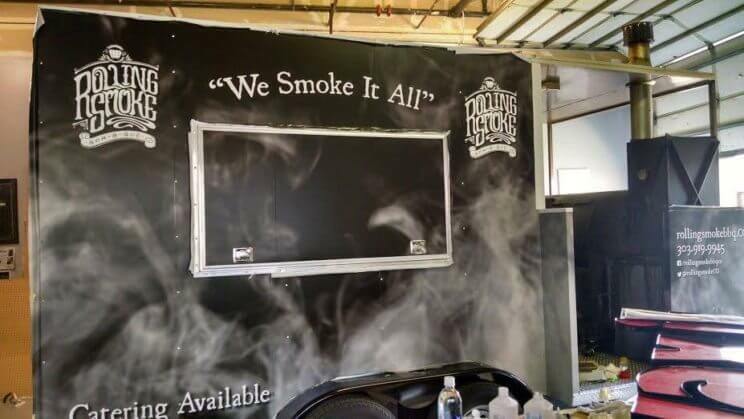 Follow Rolling Smoke BBQ on Facebook and Twitter to find out where they will be making their next stop. 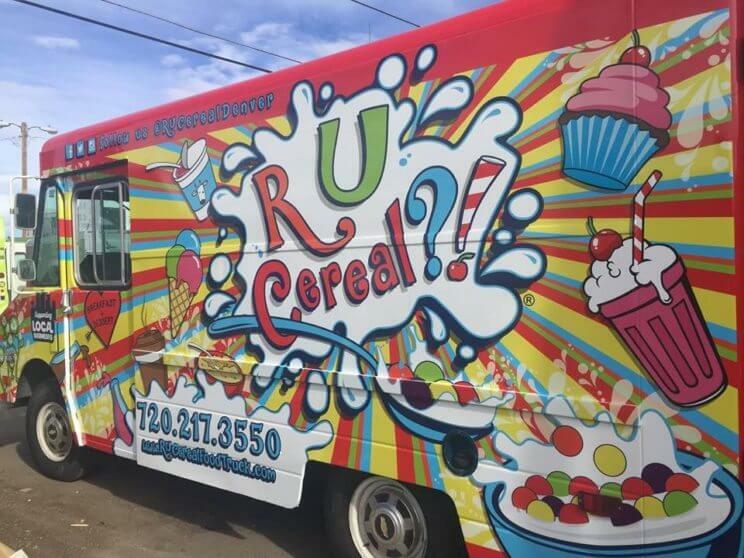 R U Cereal is a food truck that serves food that is breakfast and dessert combined. R U Cereal carries 20 varieties of cereal, 10 types of milk, yogurt, Hemp I Scream™ & Bonnie Brae™ ice cream, Breadworks™, Beet Box™ & Gluten Escape™ cupcakes, oatmeal, cereal bars, Froot Loops™ Licorice necklaces, Pablo’s Coffee™, Happy Leaf Kombucha™, and more. The R U Cereal food truck is imagined after a Willy Wonka creation and it will definitely appeal to the inner child in you. Follow R U Cereal on Facebook and Twitter to find out where they will be making their next stop. Simply Pizza Truck serves Neapolitan inspired wood, fired pizza made with only the finest ingredients from family inspired recipes. The Simply Pizza Truck doesn’t only provide delicious pizza, the actual truck is modern looking, large and unique. The truck actually features a wood burning stove inside it, and the side of the truck features large windows and a large counter. The menu includes pizzas such as Cheese Pizza, Basil Pesto & Spicy Parmesan Chicken, Oven Roasted Veggie Pizza, Italian Meat Pizza and speciality pizzas such as Apple Pizza, Pear Pizza, and the Raspberry Mascarpone Pizza. Pizzas aren’t the only dish you should expect, they offer salads too! Follow the Simply Pizza Truck on Facebook and Twitter to find out where they will be making their next stop. Sweet Cow Ice Cream serves fresh handcrafted ice cream made from locally sourced ingredients and handmade on site. Sweet Cow Ice Cream has several brick and mortar locations throughout the Denver and Boulder areas (and will also open another one in the new and upcoming Stanley Marketplace). 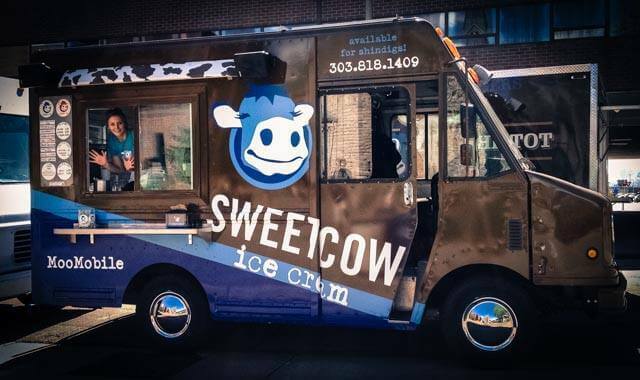 Sweet Cow also has a food truck, named the MooMobile, that serves flavors such as Cookies & Cream, Dutch Chocolate, Chocolate Chip Cookie Dough, Strawberry, Mint Chocolate Chip, Super Delicious Vanilla, and more! Follow Sweet Cow Ice Cream’s MooMobile on Facebook and Twitter to find out where it will be making its next stop. The Colorado Pig Rig is Colorado’s first and only pork-centric food truck specializing in farm fresh pork tacos, sandwiches and tasty treats. The Colorado Pig Rig’s menu includes tacos such as Green Chile, Asian and Smoked Pork Belly, Cuban Mojos, Carnitas, Jalapeno Lime Black Bean and more. Sandwiches such as The Miss Piggy, made from Jack Daniel’s oak barrel smoked pork shoulder, signature Kansas City style sweet & spicy BBQ sauce, and honeycrisp apple slaw; The Boss Hog, made with farm fresh pork tenderloin beer battered with their “Secret Recipe”, and bacon aioli, and more. Their tasty treats include Beer Battered White Cheddar Cheese Curds, Pig Rig Tater Tots, an Indian Fry Bread Dessert and more. 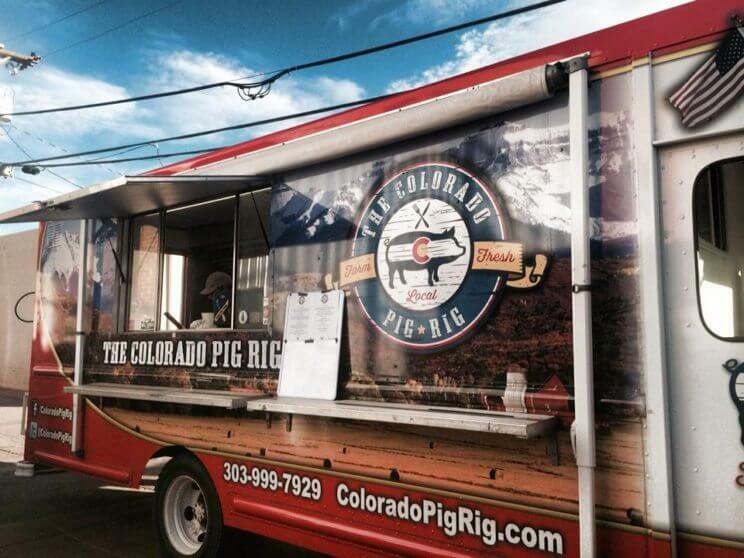 Follow The Colorado Pig Rig by visiting their Calendar Page to find out where they will be making their next stop. Wikipita is a stationary food truck located in Downtown Denver that serves Mediterranean Israeli / Greek food in pita pockets filled with fresh and locally sourced ingredients. Wikipita’s menu includes pita pockets with fillings such as Falafel, Gyro, Skewered Chicken, Schnitzel (fried bread-crumbed chicken), and veggie options. Wikipita is open Monday to Friday from 8:30am to 6pm and Saturday from 12pm to 6pm. They also now offer a food delivery service directly to you. For more information, follow Wikipita on Facebook. 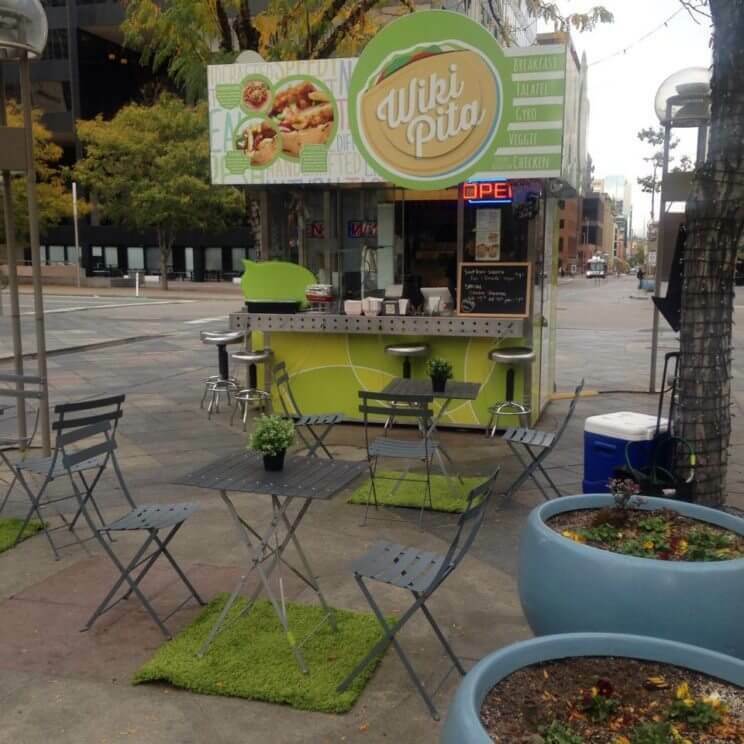 Wikipita is located on the corner of 16th Street Mall and Arapahoe Street in Denver. Let us know your favorite food truck by commenting below in our comment thread!